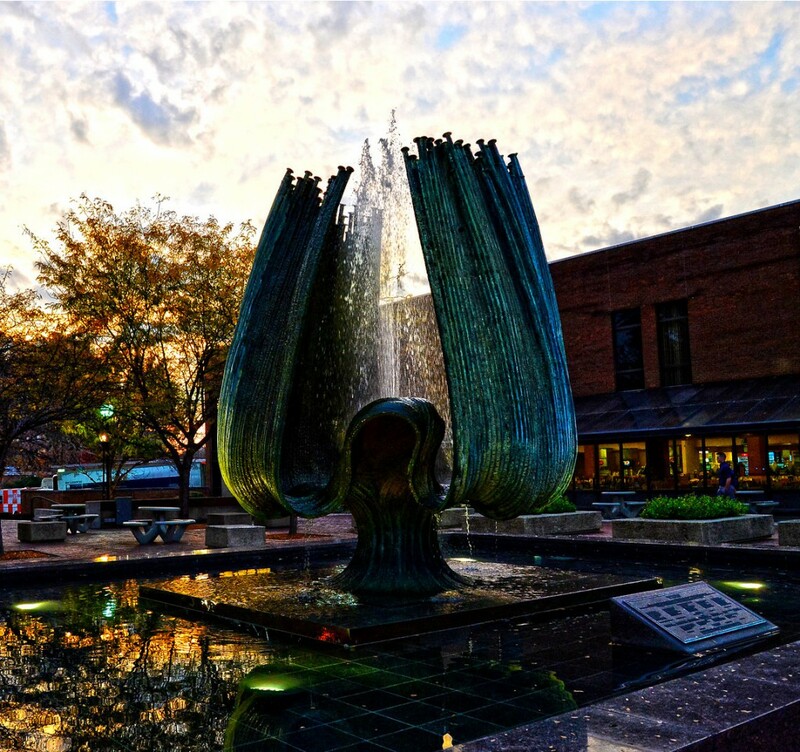 Just outside the Memorial Student Center at the heart of Marshall’s Huntington campus stands the Memorial Fountain—a visible reminder of the 75 lives lost in the Nov. 14, 1970, plane crash. The Memorial Fountain was dedicated by President John G. Barker on Nov. 12, 1972, to the memory of the plane crash victims. Each year a memorial service is held on the anniversary of the tragedy. The ceremony includes the traditional laying of a wreath and the fountain’s water is turned off until the following spring. Visitors seek out the fountain and for students and alumni it is a landmark—a statement of resiliency, constancy of spirit and a flowing future. In early 2008, the Memorial Fountain and its foundation received extensive repairs–most notably a new granite surface for the foundation; a copper catch tray; and a higher water spray, similar to the original output when the fountain was installed in 1972. On April 9, 2008, the memorial fountain was rededicated. Gov. Joe Manchin III, Marshall President Stephen J. Kopp, family representative Michele Prestera Craig and others spoke during the ceremony, which concluded with the turning on of the fountain for the summer. The fountain is silenced each Nov. 14 during the annual memorial service honoring the victims of the plane crash. The 2006 Warner Bros. feature film “We Are Marshall” tells the story of the plane crash tragedy and its aftermath, including efforts to continue the football program after the disaster. The movie exposed the university’s name and story to national and international audiences. Click here for more information about the movie.